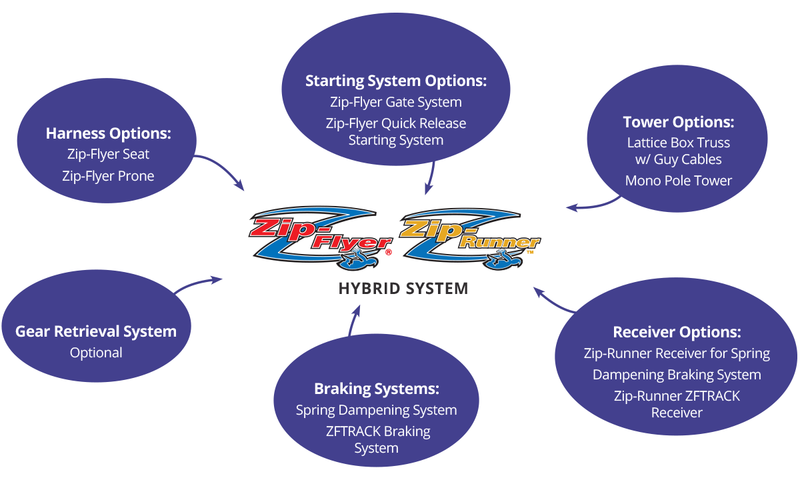 The Zip-Flyer/Zip-Runner Hybrid combines the best components that Zip-Flyer LLC has to offer. The Hybrid system allows us to build the fastest, steepest zip lines in the world with the highest throughput, simplest operation and the ultimate in safety. This system—much like Zip-Runner— is modular and can expand as your business grows.